2013 will be another year of great fabrics and even more wonderful projects. We hope your list of new years resolutions includes dedicating some time to your creative side! Check out our list of classes and retreats for the array of quilting professionals we will have available for you. Our goal is to have great classes and retreats for all levels of quilters. If you want to hand quilt one of your beautiful masterpieces, Sarah Francis is going to have hand quilting classes this year. Want to learn or refine hand applique? Alice Wilhoit or a couple of our other nationally known teachers can help you achieve this goal. 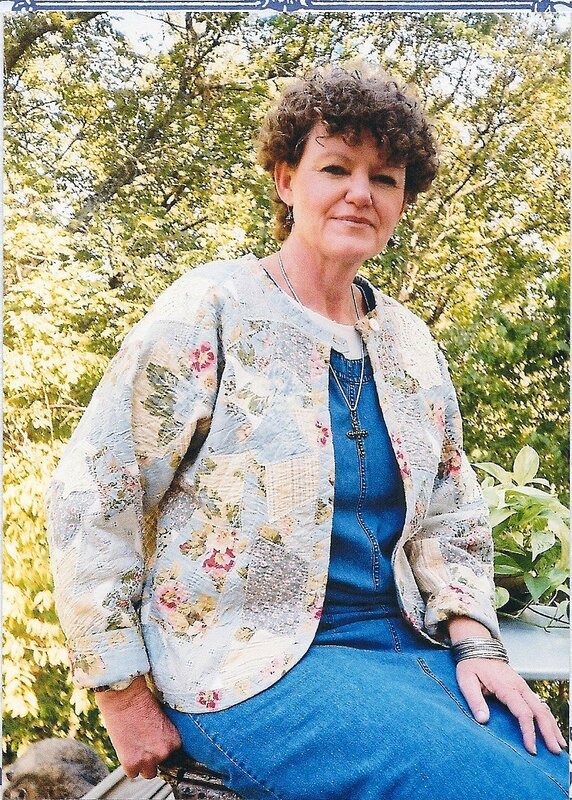 If you want to learn about machine quilting, Jackie Brown is an award-winning machine quilter. In addition to Jackie, we will have a national Handi Quilter educator coming to train long arm quilters (This should be in April.). New to the world of piecing/quilting? Lynda Lindstrom has a great beginners class and several technique classes. We are excited to have Eileen Urbanek teaching Judy Niemeyer paper piecing patterns in our store and retreat center. These are a great way to take your piecing skills to the next level. We strive to help you improve your skills this year with a retreat or a couple of classes! We have been waiting for quite some time for Sue Pelland to be able to come show you her very cool ruler. For the past three years, we have been captivated by her booth and demos. It is amazing how quickly you can cut all types of leaves, vines, and curvy shapes. She has a brand new book just hitting the market to support how to use the ruler. Due to a schedule change for her, she will be here very quickly—February. She will have a free demonstration the morning of Feb. 12th. You will be able to get “hands on” in the techniques class from 1-5 on the same day. She has a new book that will arrive next week and a sample for us to display also. You gotta see this! We are thrilled to have Marti Michell coming to our location this March. Because her schedule is so busy, we had patiently waited for a date from her. She had some time open up and we jumped on it! We are bringing this worldwide instructor to your doorstep at a price that just can’t be beat. These two projects are a must do for every quilter. Let Marti, with the help of Brenda Asmus, show you how to use her templates to successfully complete either of these two timeless patterns. Call quickly to secure a spot with Marti! We have a few trunk shows scheduled for the first quarter. Several beautiful machine embroidery samples arrived from Purely Gates. They feature a cool new technique using mylar to add some “flash” to her projects. We will have them until Feb. 13th. Nancy Halvorsen is sending her projects from her Curiosities and Mischief book and fabrics. This will run Feb. 25th-March 8th and be displayed in our booth at the Dallas Quilt show. We also have a quilt coming from Benartex during the show that features vintage trains. If you don’t head our way before March 8th, stop by our booth to see our newest completed samples. 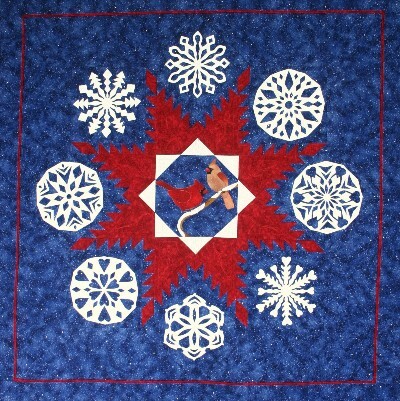 We will also have our Handi Quilter machines on display at the show. If you are in the market for a long-arm quilting machine this is the time to test drive. National educator will be on hand. This is THE time to get a great deal on what we feel is the best machine on the market. We have a couple of demos available to pre-buy so give us a call now if you have already decided on Handi Quilter. Demos are THE best value. Call today. Thank you for your continued support of our quilt store. Desert Sky class Wed. Feb. 6th, 10-4 for $45. Want to learn how to paper piece? This project will teach you! Have you seen beautiful Judy Niemeyer projects hanging in quilt shows around the state and across the country? Eileen is a wonderful instructor that teaches this method all over Texas. This batik fat quarter quilt is stunning. The instructions were designed to speed up the cutting process. Beginner to advanced. Pattern required. Stack-n-Wack class Wed. April 3rd, 10-4 for $45. The name says it all. You stack your fabric and wack it up. This process makes some of the most amazing quilts. You have a kaleidoscope look when completed. Fun and addicting—you won’t stop with one quilt using this technique! Leaves Galore Techniques 1-5, for $25. Who needs another unfinished project? Use fabric from your stash, no need to buy fabric. Learn five to seven new Leaves Galore techniques while making samples that you can use as a reference for future projects. Learn to make leaves, flowers, dragonflies, and many different vine techniques. She has dozens of tricks up her sleeve! Instruction sheets included. Melissa’s Quilt class 10-4, for $35. Learn how the Leaves Galore Templates can help you rotary cut applique in no time. Mark grids with the Quilter’s chalk line. This stunning quilt can be made in a six hour workshop with the possibility of a little homework. Crib size or mini can be made in class. Sweatshirt or Vest class Saturday Feb. 23rd, 9-5 for $50. If you don’t want to stay overnight at her retreat, you can join the group for the day—space limited. Jennie has three jacket options and a great vest. Now is the time to make your unique jacket using a sweatshirt as the base. Class taught by Jennie-designer of these patterns! Beginning Quilting Sat. Jan. 26th(let us know asap if you want to join this class) or Fri. March 1st (9:30-4 for $35). This class will take you from cutting to binding in one six-hour class. We will cover rotary cutting, simple piecing, borders, making the sandwich, machine quilting, squaring the quilt, and binding. What’s the catch? The project will be a candle mat or table topper. The only way to experience a “quilt-in-a-day” is to make a very small quilt. I will share a wealth of quilting knowledge and tips with you as you make this small project. This is for students who are truly beginners and need an introduction to our craft. Tell your non-quilting friends so they can become quilters too! Kindergarten Machine Quilting Fri. Feb. 15th. Do you just make tops? Is the cost of having everything quilted for you stifling your creativity? This class teaches you the basics of machine quilting. Straight line, free form, quilt-in-the-ditch, outline, grid, channel, and stipple quilting will all be covered, plus basting, marking and binding. Come learn how to finish your entire project yourself! Basic Machine Applique Sat. Feb. 23rd. This class includes instruction on three popular techniques. The first is fusible web outlined with a blanket, zig zag, or blind hem stitch. Any simple zig zag sewing machine will work. The second is mock hand applique that creates a hand picked look that will fool everyone. The third uses fusible interfacing or Solvy stabilizer to turn the edges before sewing them down. After practicing in class you can decide which you enjoy the most. The Learning Curve project. Sat. March 23rd. There is a new ruler in town called “The Learning Curve.” It allows you to add curves and circles to your piecing. You can give an entirely new “look” to many traditional patterns. It is easy to learn and creates very little waste. You can use “The Curve Master Presser Foot” that many of you already have, or you can use the technique suggested by the creator of the ruler. After practicing three or four times, you will be able to run with it. Students should be familiar with their machine, and should have finished a top or two. Early beginners should start with straight lines. Come learn something exciting that will greatly expand your design possibilities! Go to www.LindaWarrenDesigns.com for a gallery of quilts. Buggy Barn class date pending. If you’re not “buggy barning” your quilt education is incomplete! This technique cuts, shuffles, sews, and trims. There is very little waste. The designers have carried this technique to it’s utlimate limits. In this class, you can choose from three patterns, chickens, cows (new), or stars inside hearts. It is easy enough for beginners, but interesting enough for the more advanced quilter. Join us for a day of fun and accomplishment! Ask for date & more info. Quilt & Connect Machine Quilting class Sat. April 27th. Divide your quilt into small, more workable sections and conquer the problems associated with quilting bulky bed quilts. The sections are lighter, can fit through the opening of your sewing machine, and are easily maneuverable. You will learn four techniques for putting your sections together after they are quilted. Come and learn this common sense approach for finally getting those bed-sized projects finished! Marti Michell coming to Celeste! This international teacher will be available for you March 20th-24th! She will have two retreats and a Meet-n-Greet March 22nd. Kaleidoscope Creations Retreat March 20th & 21st. This striking quilt becomes easy to make with Marti’s method. Discuss design and color possibilities and sewing techniques; then cut with the Kaleido-Ruler. Marti’s tool gives you the guidelines for cutting all of the triangles. NO MORE template making. Best of all, you can use a “class ruler” during retreat to see if you like it. Double Wedding Ring Retreat March 23rd & 24th. This pattern has inspired more people to learn to quilt than any other. It is one of the most easily recognized quilt designs in existence, but the curved seams may create quilt-making apprehension. Use the From Marti Michell Double Wedding Ring Template Set to accurately cut and mark the pieces and then use a careful 1/4” seam allowance to sew.Marti’s tips and instructions will give you confidence. Now’s the time for you to make this one! Meet-n-greet Marti On Friday March 22nd. Marti will have a trunk show and tell about her wonderful journey in the world of quilting. She will have two session 4-6pm & 6-8pm. Cost to attend $5. If you are part of a retreat—no additional charge. Winter's Best Class 3rd Saturdays each month 10-2 for $20 per class for 5 months. Feb. 16th, March 16th, April 20th, May 18th and June 8th. The best of winter! Beautiful snowflakes and Mr. & Mrs. Cardinal. The snowflakes are appliquéd, using Ultra Suede Light. In the 5 week series, you'll learn how to work with Ultra Suede Light, learn the technique for changing color of fabrics, and to make the Feather Star. Wool Applique Thurs. April 11th, 10-4 for $40. Wool is fast becoming a favorite way of appliqué. There are no seams to turn under! In class you will learn techniques using wool. This is such a comforting fiber. Have fun learning how to incorporate wool into your future projects. Basic Hand Embroidery Wed. Feb. 28th, 10-4 for $45. Spend a few hours with Alice and learn how to embroidery or to brush up on those stitches. This is a technique class open to beginners or advanced individuals. All you need to bring is scissors! Everything you need is furnished in a kit. She will also show you some products that make embroidery so much faster! You will have a fun day of stitching. Texas Our Texas Continuing class series on 1st Saturdays each month. Let us know if you need to join to finish this beautiful project. Class from 10-2 for $15. Retreat in May. Dear Jane The ULTIMATE Sampler! This class is taught by technique and you are guaranteed to come away learning a shortcut or two and/or new techniques. Let Sarah help you with fabric selection. She will take all the "wonder how she made that one" out of it for you. Dear Jane book required. Class meets Feb. 9th, March 9th, April 13thth, & May 12th from 10-3 and the cost is $10 per class. Hand Quilting Wed. Feb. 20th from 1-4 for $20. Sarah is an award winning hand quilter. She has been hired many times to hand quilt guild raffle quilts, their president’s quilts, and for preservation society projects. She will discuss all the factors that influence your quilting stitches-batting, threads, needles, thimbles, fabric specifics. She will show you various tools of the trade. 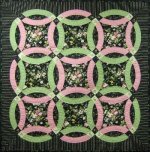 She will demonstrate quilting and work with you on your quilting stitch. Come sharpen your skills or take a stab at learning this beautiful way to finish your quilt. 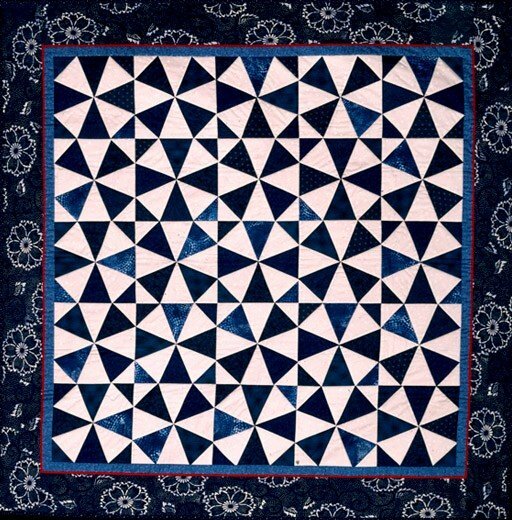 Level 1: Basic Pantograph Long Arm Quilting class Wed. Jan. 30th, Feb. 20th, March 13th, April 3rd or 24th, 9:30-3:30 for $150. Learning to stitch a pantograph pattern on your quilt is an easy and fast way to make your quilt look like you had a professional quilted it. The basic steps will get you started on learning how to put a nice pantograph design on your quilt. Jackie will teach the six steps to get started becoming a confident long arm quilter. 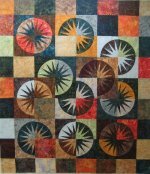 Level 2: Custom long arm quilting class Wed. Feb. 6th or 27th, March 20th, or April 10th, 9:30-3:30 for $200. Would you like to learn how to make your quilts stand out with some custom quilting? This class will teach you the basics of custom quilting. It’s fun and you can use your creative mind to enhance your quilt. You can say you quilted it and had fun doing it. Jackie will teach seven steps to get started becoming a custom long arm quilter. 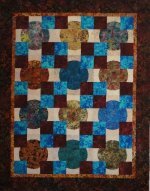 Level 3: Artistic Custom Quilting class Wed. Jan. 23rd, Feb. 27th, March 27th, or April 17th, 9:30-3:30 for $250. After completing Level 1 and Level 2 classes you are now on your way to Artistic quilting. This class will take you to the level of a professional quilter, with lots of practice, patience and determination! You can make your quilts stand out in a crowd. Your family and friends will ask if you had a professional quilt it, and you can proudly say, “I quilted it”!! Jackie will teach the six steps to getting started to becoming a Artistic Long Arm Quilter. for classes and a retreat May 31st-June 6th. Check out her website to see her many talents www.jmichellewatts.com. We plan to pick from the following projects: Stenciling Quilt Blocks with Paintstiks, the Butterfly Beauty, Shades of the Desert and Redwork by (domestic sewing) Machine. Sit-n-Sew is every Tuesday from 9:30-5. On Tuesday February 12th-free informational until 12 & then classroom will be used for a class with Sue Pelland. With our large well lighted class room area, there is lots of room. Every 1st Tuesday we all share snacks, stories, and projects. The store provides door prizes and we share what new items have arrived. When you park for sit-n-sew please make sure not to block the front of the building or the mailbox. This would be greatly appreciated. January Clearance Sale--Over 150 first quality fabrics are left on our sale racks. Take 50% off retail price until the end of January!